The Lumedyne Dual Hyper Charger w/Gauge for Australia (90-260VAC) is not only less than 1/2 the weight (0.85 lb, or 0.39 kg) of the CQ2Z charger (2.6 lbs, or 1.17 kg), it charges twice as fast as the Quick charge rate. In addition, the Hyper Charger features a 7-light battery gauge that indicates the level of the charge in the battery, eliminating any unpleasant surprises from uncharged batteries. By watching the gauge as a battery charges, you can catch any low-performing batteries before they become a major problem. The charger is multivoltage and has built-in protection from power line issues and bad batteries being connected to it. 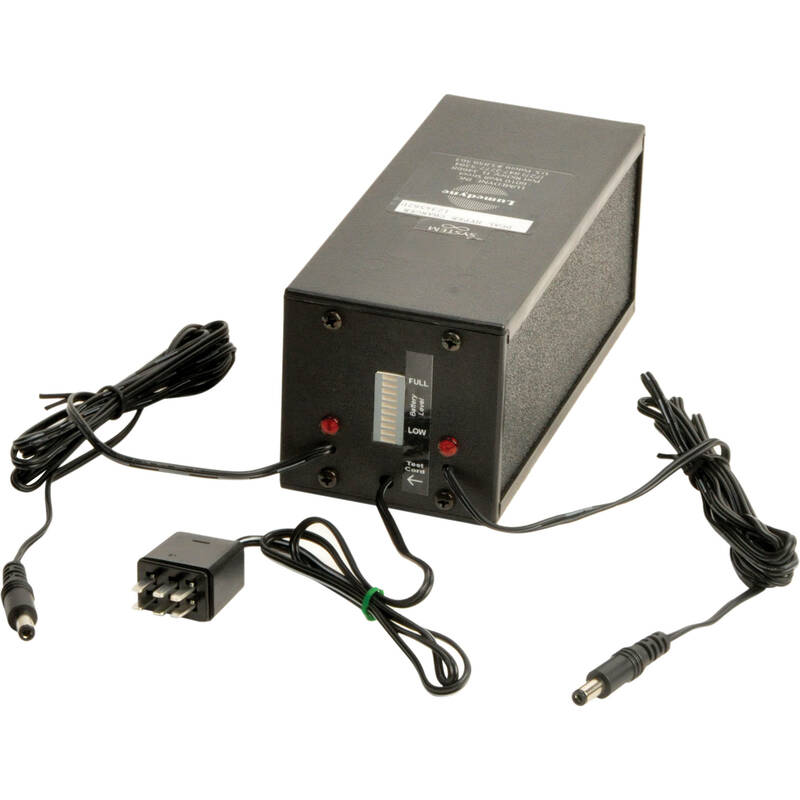 An interchangeable 6' (2 m) AC power cord is supplied, with the plug dependent upon the area where the charger will be operated. This charger is supplied with an AC cord for use in Australia. This battery (along with its sibling, the Quad Hyper Charger) replaces all current Lumedyne chargers. Lumedyne batteries made from 2003 to the present are compatible with the Hyper Charger. All Lumedyne batteries manufactured before 2003 must be modified by Lumedyne before being used with the Hyper Charger. Contact Lumedyne for details. Box Dimensions (LxWxH) 9.0 x 8.0 x 3.6"